Czechoslovakia was founded at the end of World War 1, was part of the old Austrian- Hungarian Empire. It consisted of the present day territories of the Czech Republic, Slovakia and Carpathian Ruthenia. The Czechoslovak Koruna was the currency of Czechoslovakia from April 10, 1919 to March 14, 1939 and from November 1, 1945 to February 7, 1993. 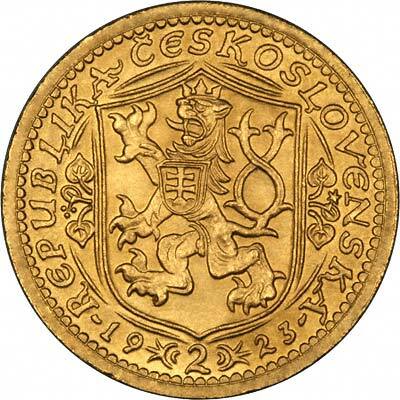 For a very short time in 1939 and 1993 it was also the currency in both of separate Czech and Slovak republics. On 1 January 1993 Czechoslovakia peacefully split into the Czech Republic and Slovakia. 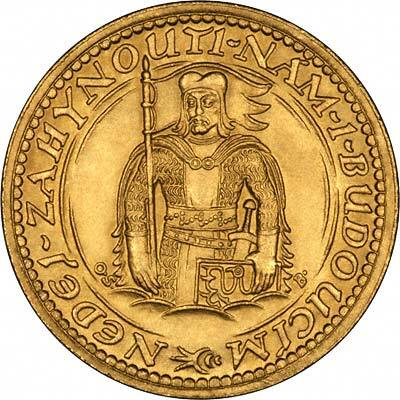 We make an active market in almost all world coins, gold or otherwise, including Czechoslovakian gold coins. If you have any of these coins to sell, please contact us, or post them to us for appraisal and offer.